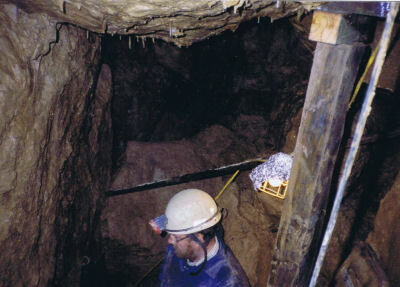 'The group asked me to assist them in locating a lost mine in the Rhosesmor area. There was no evidence above ground of any mine or mining activity. 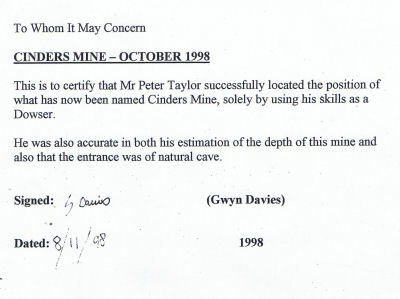 I attended on site, located an entrance by dowsing, they then confirmed that this was the entrance to the lost mine, which they then named Cinders Mine. 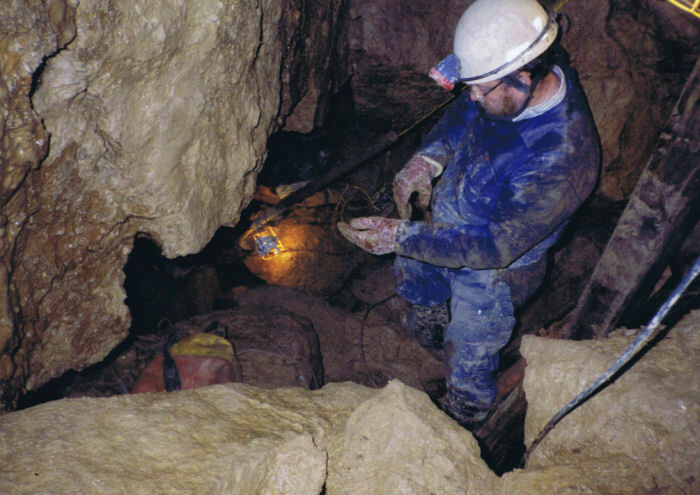 was invited into the mine through the narrow entrance and I did further dowsing inside the mine for the lead and zinc mineral deposits which had been left by the miners from the late 18th Century, we believe, as there is no records to confirm these dates. The dates have been estimated by the dowsing process. After this success the caving club became interested in dowsing and I taught many of them the art of dowsing, which was very important to them as when they are in confined spaces, and are exploring, they need to know if they break through the rock, whether there is going to be a large volume of water which could trap them. They now use the dowsing techniques.